Leif Pettersson, Vice President Document Messaging Technologies, European Sales, Pitney Bowes. What consumers really want from parcel delivery, and how the industry is responding. 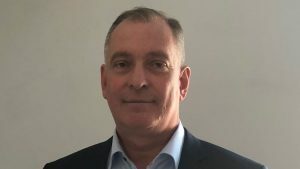 By Leif Pettersson, Vice President Document Messaging Technologies, European Sales, Pitney Bowes. Changing consumer expectations and behaviours have had a disruptive effect on managing the last mile, fuelled largely and unsurprisingly by Ecommerce growth. 94% of us now shop online1 and more parcels are heading their way around the world than ever before, with a growth of up to 28% in parcel volume forecast by 2021 according to Pitney Bowes Parcel Shipping Index2. Those businesses tasked with shipping and delivering these parcels against increasingly-high consumer expectations must do so whilst streamlining costs, paying close attention to the last mile: this final leg of a parcel’s journey reaches or exceeds 50% of the total parcel delivery cost3. These organisations are responding by making smarter use of data; accelerating R&D; exploring shipping APIs; driving innovation, and generating new collaborations, both through partnerships and M&A activity. But as fast as solutions emerge, the dial shifts quickly in consumers’ buying behaviour and expectations, adding pressure to businesses already struggling to contain costs. Where even just a year ago same-day delivery was a novelty, now it’s expected. Where ‘track and trace’ was an added bonus, now end-to-end visibility of a parcel’s journey is the norm, ideally tracked in real-time through an app. Accenture recently took a temperature check of the industry and its consumers4. They surveyed consumers in Australia, France, Germany, Singapore, the UK and the USA. The research highlights that postal operators are doing well in terms of delivering against expectations, with an average 70% of consumers studied being happy with the parcel delivery service they receive from their national postal operator. This is highest in the UK and the US, with 75% and 74% respectively, reflecting the digital transformation strategies and investments these posts have already taken to meet consumer expectation. 70% of us, when shopping online, now look overseas to buy goods5. But we’re not particularly happy with cross-border delivery. In the Accenture study, only 58% of respondents were satisfied with the service they receive. 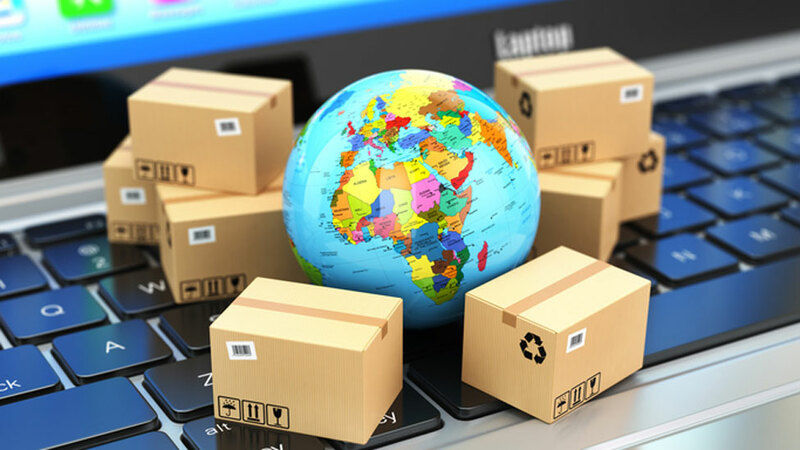 The increasing popularity of marketplaces such as eBay and Amazon make it increasingly easy to buy goods outside our own country, but buyers can be left in the dark over sellers’ preferred shipping methods. Often on-line tracking apps provide information only once the parcel has reached the buyer’s own domestic market, which could take weeks. It isn’t always the seller’s fault of course: they, too, experience a service fraught with complexity and confusion, with customs, taxes and duties difficult to forecast. Beneath our cross-border digital transactions lies an immense, sophisticated network of logistics firms, hubs, warehouses, shippers and couriers, all working to ship our parcels to our homes – but not always connecting with each other as they should. Steps to improve the cross-border delivery ecosystem are already under way, with the formation of postal cross-border networks including the Kahala Posts Group, Express Mail Service, Prime and IPC’s Interconnect. Similarly, the Global Parcel Alliance comprises 50 courier and parcel members from 25 of the largest ecommerce markets. The network aims to provide an international package service network based on standardised processes and data exchanges. Asset-light businesses have built billion dollar empires based on an ability to respond to customers’ requirements swiftly and effectively, in innovative ways. Digital influencer and former TechCrunch editor Tom Goodwin, in 2015, observed that, “Uber, the world’s largest taxi company, owns no vehicles. Facebook, the world’s most popular media owner, creates no content. Alibaba, the most valuable retailer, has no inventory. And Airbnb, the world’s largest accommodation provider, owns no real estate. Something interesting is happening6”. The same concept can be applied to deliveries, as the ‘Sharing Economy’ presents new value-added opportunities for businesses and consumers. Crowdsourced delivery firm Hitch, for example, connects travellers with senders through an app. Shippers get their deliveries sent to their destination quickly and effectively, and the app keeps everyone informed in real-time along the way. Research found that 80% of consumers3 would be comfortable with these new delivery options, having their parcel delivered by firms such as Uber or Lyft for example. In a landscape where similar products are sold at similar prices, service is the differentiator. Now, businesses are scrambling over each other to drive physical and digital transformation – and it’s the ecommerce firms at the front of the pack. In 2013, Alibaba established Cainiao Network. This is a logistics data platform company which incorporates some of China’s biggest logistics companies including Shentong Express. Alibaba has the majority stake of 51% in the network, and in September 2017 announced an investment of $15.2 billion over the next five years. Same-day and next-day delivery services are offered through the network, which reaches almost 700 Chinese cities. Staying with Alibaba, the company has 60 robots running its warehouse in China. Reports6 say Amazon has 45,000 robots across 20 fulfilment centres, including large robotic arms for lifting heavy pallets. Customer behaviours are spearheading this change in ecommerce firms, pushing them to adopt innovative technology solutions. The Accenture study revealed a new trend in delivery. 65% of consumers consider the ability to change delivery in-transit to be a key factor. This might seem like a headache for logistics firms, but the technology is in place to support this: some logistics firms already use geospatial data and software solutions to map journeys, pinpoint address locations and reroute drivers to avoid congestion. Offering consumers flexible options to within an hour of their delivery might require new processes (not to mention patient delivery drivers), but it would provide a great boost to the customer experience. The concept of Unmanned Autonomous Vehicles isn’t new and has been trialled by various companies, but now it looks set to become a reality: Deutsche Post DHL plans to bring autonomous delivery vehicles into play this year teaming up with manufacturer GPU, and Starship Technologies – the founders of Skype – plan to roll out six-wheeled ‘ground drones’ in London. Ford, too, has announced details of a last-mile delivery concept integrating self-driving vans and unmanned aerial vehicles. Consumers are ready for this: as long as it’s faster and cheaper, 60% of consumers are happy for autonomous vehicles to deliver parcels to their home.